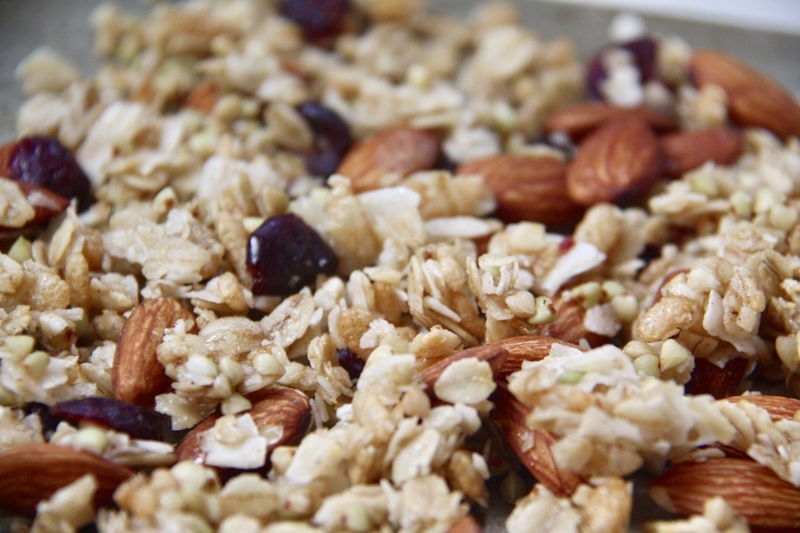 Whether you plan on staying in this weekend for some R&R, traveling near or far, or hiking up a mountain in the beautiful Pacific Northwest--this granola is the perfect go-to snack to keep you fueled up and feelin' good! It is healthy and hearty, but subtly sweet. (Plus, it's full of fiber and protein thanks to the buckwheat!) I top it on yogurt, eat it as cereal, and carry it in my car for moments when I need something tasty. It also makes a super cute gift inside of a mason jar! 1. Preheat the oven to 300-degres F. Line a baking sheet with parchment paper. In a large bowl, combine dry ingredients. Sprinkle with cinnamon. 2. In a separate bowl, combine melted coconut oil, maple syrup, honey, and extracts. Whisk gently, then pour over dry ingredients and mix using a wooden spoon or rubber spatula. 3. 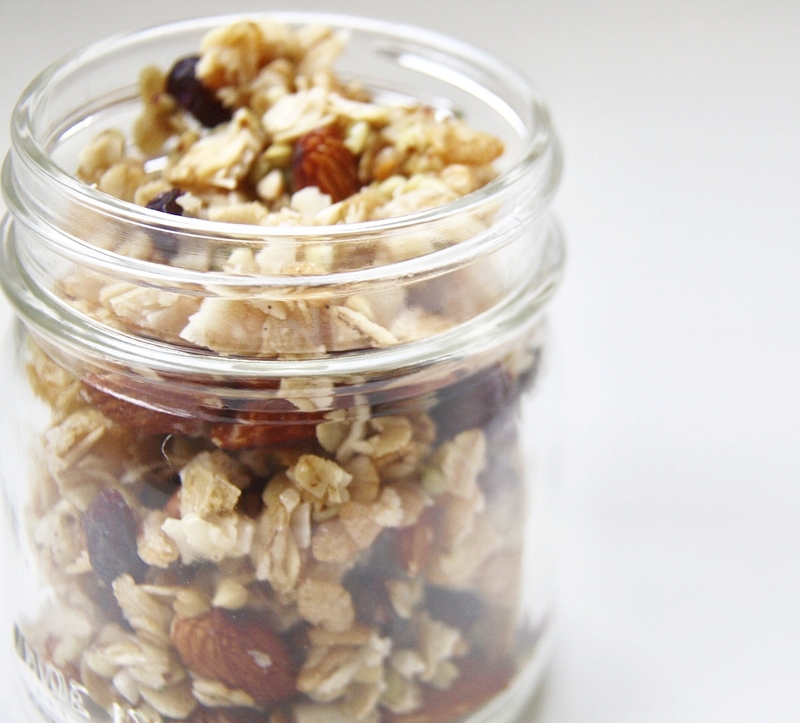 Lay all granola ingredients onto the parchment paper evenly. Bake until crispy, about 30 minutes or until you reach your desired texture. Sometimes I bake it longer for extra crunchy pieces! Allow to cool for 10 minutes, then enjoy! This can be stored for up to 10 days in an airtight container—but it likely won’t last that long! Enjoy it on yogurt, with almond milk as cereal, or use it to top your favorite berry cobbler!